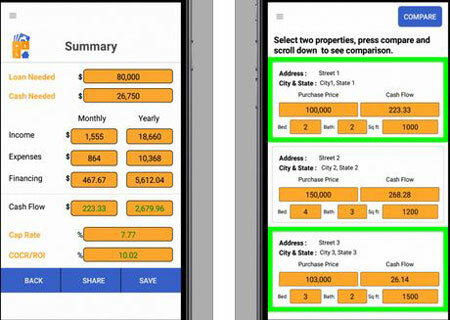 DealCrunch: this property analysis app can be used to analyze rental and flip opportunities. 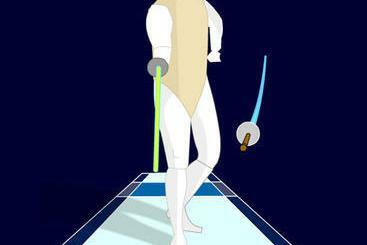 It uses interactive diagrams to visualize the performance of your investments. You can compare rentals and flips side by side. 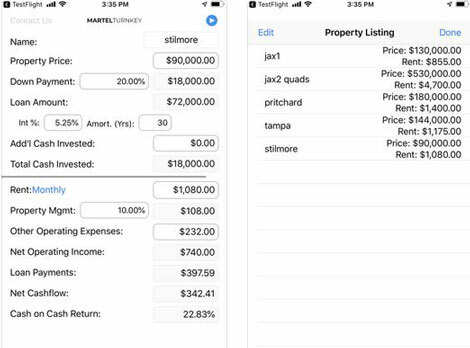 Rental Property Analyzer: this app helps you calculate the expected net cash flow and cash on cash return on opportunities to make better investing decisions. 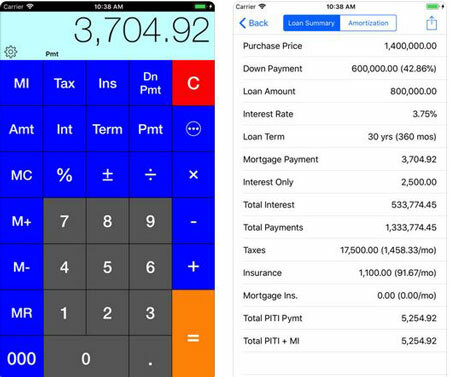 RECalc Pro: a convenient real estate calculator for iPhone that you can use to calculate monthly payments, interest rate, loan amount, and everything in between. It supports normal and semi-annual compounting. 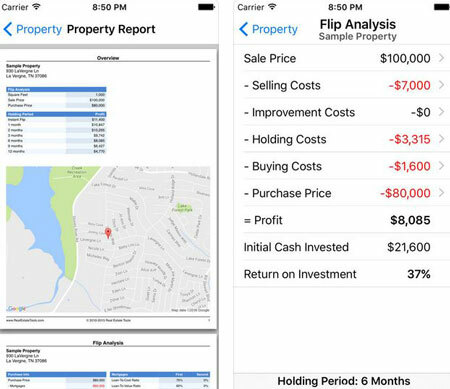 Property Fixer: a real estate investment app for iPhone made for those of you who want to flip properties. 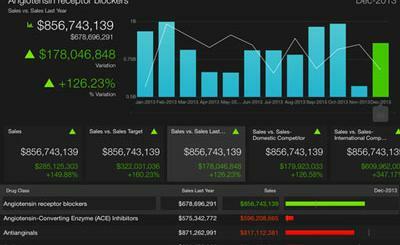 It shows profit and ROI for your projects. DealCheck: enables you to quickly analyze any investment property. Lets you import properties from MLS listings. 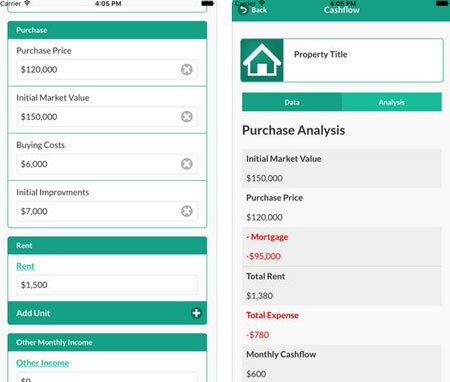 The app automatically calculates closing costs, mortgage payment, cash flow, ROI, and other info. 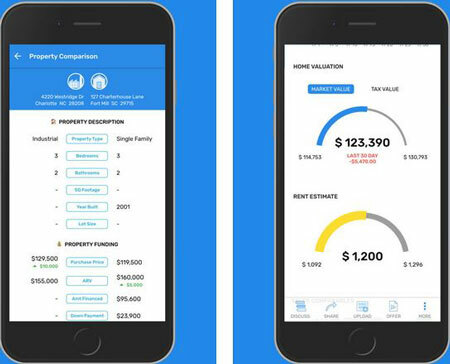 Investment Property Calculator: this real estate calculator for iPhone lets you compare investment properties. You can enter a desired ROI or CAP rate to figure out what the purchase price should be. Property Cashflow Calculator: lets you compare cash flow of different properties. 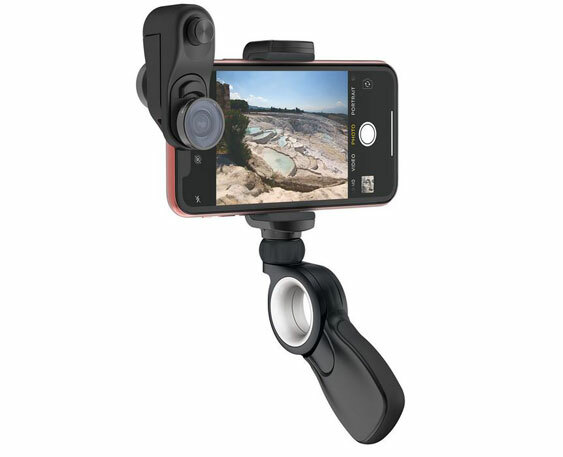 Simply enter purchase price, buying costs, and other info to get a better picture of your investment. 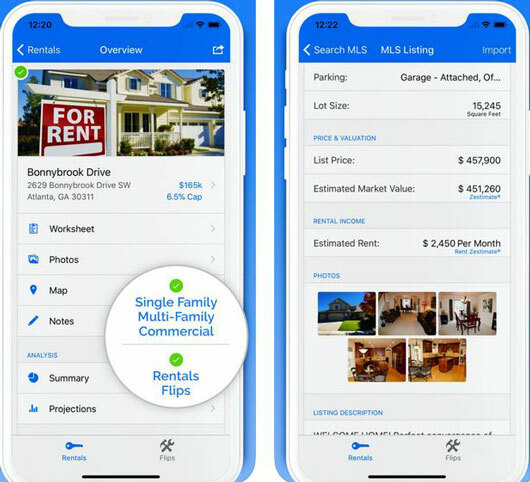 Have you found better iOS apps for real estate investors? Please share them here.